Oxford Road Community Garden: Compost toilet is finished. 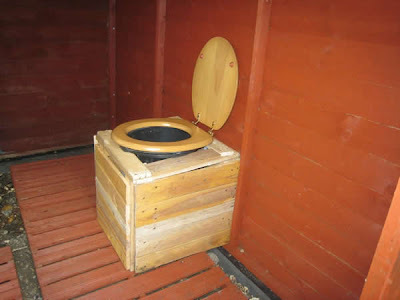 from Adrian Windisch: "At last the Compost toilet at the Oxford Road Community Garden (www.orcg.co.uk) is finished. I think it's the only one in Reading, probably the first in Berkshire. I've seen and used them at LILI in Buckingham (www.lowimpact.org), and at Sunseed Desert Technology in Spain (www.sunseed.org.uk). I downloaded the instructions from www.humanurehandbook.com. It's a great way to turn what others regard as a waste product into a source of nutrients to enrich the soil. I hope it spreads the message, and it's the first of many."